Bangkok, 2 October 2018 — The Joint Programme on Resource Efficient and Cleaner Production (RECP) in Developing and Transition Countries, held its final workshop on 2 October 2018 in the lead up to the 5th edition of the Green Industry Conference taking place in Bangkok, Thailand. 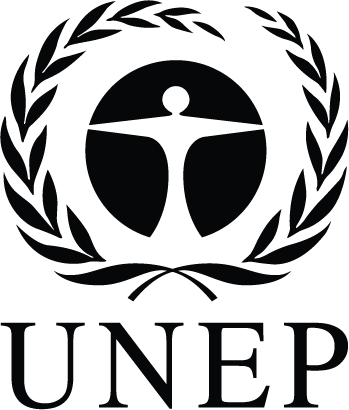 Over the last seven years, UNIDO, through financial support provided by the Government of Switzerland and in partnership with UN Environment, has been implementing global RECP Programme, which sought to mainstream and upscale the application of RECP, both at the technical and policy levels, in 13 target countries. The RECP Programme Final Workshop brought together members of the Global Network for Resource Efficienct and Cleaner Production (RECPnet), the global delivery vehicle for RECP, which works to catalyse the effective and widespread application of RECP in developing and transition economies. 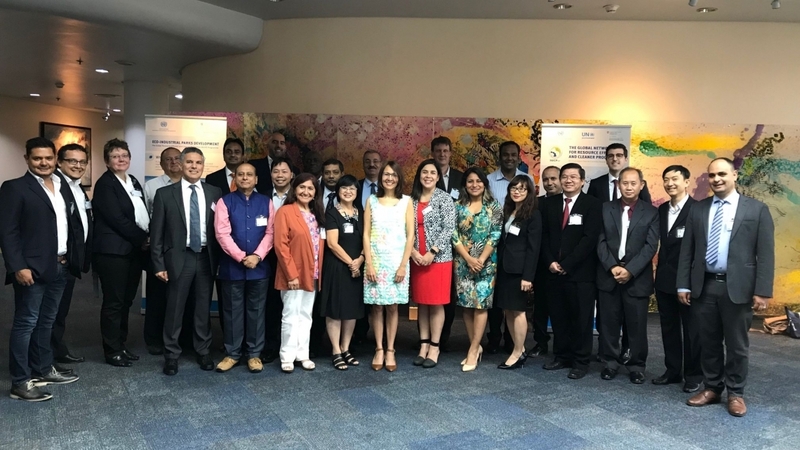 Participants of the final workshop came from: Cambodia, Colombia, Costa Rica, Egypt, El Salvador, Guatemala, India, Jordan, Lao PDR, Morocco, Peru, South Africa, Viet Nam in addition to representatives of UNIDO and the Swiss State Secretariat for Economic Affairs (SECO). The workshop was an opportunity for partner institutions in the execution of the RECP Programme and the Programme’s stakeholders to reflect on the successes and challenges that partner institutions experienced while bringing the benefits of RECP closer to industries and communities in their respective countries over the span of the Programme. During the event, participants highlighted a number of wide-reaching impacts of the Programme, which directly assisted hundreds of enterprises and indirectly assisted thousands of other enterprises in making their operations economically, environmentally and socially sustainable. Moreover, participants emphasized the critical role that RECPnet members had played in helping to deliver the RECP Programme. Looking ahead, the workshop outlined the future of global RECP promotion, as envisioned by SECO and UNIDO. In this context, the emphasis was placed on discussing how the successes of the RECP programme can be brought to scale through the development of eco-industrial parks in developing and transition economies. Mr. Smail Alhilali, Division Chief at UNIDO and lead manager of the RECP Programme emphasized that “the work of the RECP Programme and RECPnet does not stop here, rather the Global Eco-Industrial Parks Programme will succeed the RECP Programme, and bring to scale its most successful methods and results. Furthermore, UNIDO will continue to work closely with RECPnet as a vital player in helping to attain the SDGs and to realize sustainable and inclusive industrial development”. 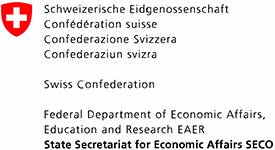 In his concluding remarks, Mr. Jonas Grunder, Deputy Head of Cooperation, Swiss Cooperation Office, Viet Nam, reiterated the Swiss Government’s commitment to support UNIDO in promoting inclusive and sustainable industrial development and announced the Swiss Government’s continued support through the upcoming Global Eco-Industrial Parks Programme (GEIPP), which aims to scale-up and mainstream the greening of existing industrial parks and support the “mainstreaming of profitable and sustainable business,” contributing to the achievements of the 2030 Agenda for Sustainable Development in particular SDG 8 on “Decent work and economic growth” and SDG 9 on “Build resilient infrastructure, promote inclusive and sustainable industrialization and foster innovation”.